There’s more than one way to plan where to live and work in Canada. You can take the top-down approach and see which province has the best job opportunities, given your own skills and experience; in other words, go where you’re most likely to find a good job. You can decide which province has the best weather – in which case you’ll likely go to BC seeing that Vancouver and especially Victoria have relatively mild winters. Or you can go bottom-up and grassroots and pick a really cool neighbourhood that you’d like to live in. If you work online, or if your skills are easily transferable from one location to another, then this might be the best choice. Remember, your neighbourhood is what determines your daily routine and that’s something that has a major impact on your quality of life. Easy access to the great Canadian outdoors? City life with lots of cultural options? The list is potentially endless and what constitutes a great neighbourhood depends on who’s asking. So, let’s do a sweep across Canada – the stiff bristles of our curling broom brushing away the ice to get at the truth of what makes a cool neighbourhood to live in in Canada. One of the keys to understanding cities and neighbourhoods is that they’re constantly shifting and evolving. It might seem like the same city each day you wake up and go to work, but it’s changing as you go about your daily routine. That means that some neighbourhoods go from thriving centres of life to declining areas, often because of shifting employment opportunities as companies shut down and new ones open up in other neighbourhoods. This is Inner Harbour’s story, a former working-class zone that ended up loosing jobs and people as factories along the Cataraqui River north of Princess Street began closing down in the 1970s. Nowadays the new businesses tend to be in the West of Kingston and the urban core is becoming an entertainment area. Inner Harbour is a quiet, somewhat neglected zone but it’s right on the edge of Kingston’s beautiful harbour - the one that sits directly on Lake Ontario rather than on the shores of the Cataraqui - and is being revitalized. If Kingston seems like a good destination for you, consider picking up a property in Inner Harbour before it becomes gentrified over the coming years and what was once affordable becomes out of reach for most wage earners. You’re a few blocks away from the city’s best pubs and restaurants and the lakeshore is an easy 10-minute walk away. So, if you’re looking for urban life with an easy-going smaller city feel and access to water sports, Inner Harbour in Kingston just might be your best bet. Plus, Toronto, Montreal, and Ottawa are a reasonable drive away. And if you’re travelling south of the border, the last United States is just up the 401. On the other hand, if you want really big houses, elegant parks, and an upscale, snobby lifestyle in 30 below weather, then you should consider Tuxedo, Winnipeg’s ritzy – as in filthy rich – neighbourhood. It was built over 100 years ago with money from a group of American investors and as the name suggests, it was built for people of means, as they used to say. Although Assiniboine Park provides plenty of green space, the homes in this area are the kind that already have a backyard worthy of a small park in Montreal or Halifax. This is for people with at least 3 cars and a couple of million in the bank, but it also has facilities that everyone can enjoy. For example, partake of a relaxing dinner in Terrace on the Park in the pavilion at Assiniboine, or head to Tundra where you can enjoy views of polar bears frolicking while you dine. No, Winnipeg isn’t north of the Arctic Circle, although in winter it might feel like it. Tundra happens to have a view of the polar bears in the nearby zoo. If you feel like working up a sweat with Biff and Cindy and improving your backspin, you can always book a court at the Tuxedo Tennis Club, an apparently public facility with 6 courts on Southport Boulevard. Then there’s the Winnipeg Jewish Theatre on Doncaster Street, if you’re keen on some edifying cultural offerings. And as far as the great outdoors is concerned, cottage country’s a cinch to get to compared to the traffic warzone from Toronto to Georgian Bay on summer weekends. So, if you can handle cold winters and house prices that are worthy of Vancouver or Toronto’s better neighbourhoods, consider Tuxedo, Winnipeg, an upscale enclave in the middle of the prairies. On December 6, 1917 a French war vessel loaded with explosives, the SS Montblanc, collided with a Norwegian ship, the SS Imo, producing a fire onboard the SS Montblanc. The fire ended up setting off the French ship’s huge store of explosives, causing an enormous explosion that devastated much of Halifax, especially its Richmond district which lay in ashes after the terrible tragedy. The city, or a good part of it, had to be rebuilt. The Hydrostone, a beautiful, tiny neighbourhood in Halifax, was one of the results of this rebuilding effort. Montreal architect George Ross designed the development which was built around 1920 using a distinctive, fire-resistant cinder block from whence the name of the neighbourhood derives. Most of it is row houses in blocks of 4 to 6 homes although it includes some larger stand-alone homes. Originally built as a working-class development in accord with the garden-city architectural movement from England, with charming back lanes behind the houses, it has been gentrified in recent years and is now a sought-after area for young professionals and working families with children due to its cozy environment and tree-lined streets. It also boasts shops and restaurants and has a vibrant market open 7 days a week. Yes, it’s more than a little touristy but beyond the cute shops on Young street there’s a real neighbourhood here, and one that is increasingly favored by home buyers. If you’re looking for a pedestrian-friendly, tress-filled neighbourhood with lots of history, this may be your ideal choice. On what’s called the South Shore of Montreal, this city boasts over 20 different ethnicities with people from around the globe calling this area, filled with semi-detached homes and low-rise apartment buildings, home. House prices are more affordable than on the island of Montreal, but access to downtown Montreal and other neighbourhoods on the island is good due to Montreal’s Metro system which puts the centre of the city a mere half-dozen subway stops away. You do have to take the bus to reach Longueil station, but it’s not that long a ride. This is the kind of neighbourhood you want to raise a family in. The sports available are numerous including a very popular figure-skating program, ice-hockey programs, little league baseball, and softball leagues as well. Most elementary schools are in French of course, but you do have the option of sending your kids to English-speaking schools (with a compulsory French portion of the curriculum, of course). With river-side parks and nearly 50 km of multi-use trails, it’s ideal for unwinding after the stress of working in downtown. Plus, you have a wide selection of BBQ places all along the South Shore, including Benny & Co where you can get BBQ chicken and a Quebec speciality: poutine. Just a hint, make sure you pronounce poutine correctly, you don’t want to commit a silly faux-pas. As I said, just a hint. Gentrification. Do you know the term? Do you mind screaming neighbours with protest signs raised aloft as they lift their voices in outrage at skyrocketing rents? Do you mind living a brief Queen and King streetcar ride from the financial centre at King and Bay streets? Do you envision yourself snapping up a beautiful 4 bedroom for a mere CAD$1,100,000? One that needs a little renovation of course. You can’t expect a ready-to-move-in home in Toronto for that price! Parkdale is now being compared to Park Slope, Brooklyn as a case study in gentrification. But the comparison might be somewhat unfair. Park Slope used to be solidly working class for generations, but that’s not the case with Parkdale, which used to be a fairly upscale place on the way west from downtown. But that all changed in the 1950s with the construction of the Gardiner Expressway which suddenly diverted all that traffic heading to Mississauga and points beyond, and cut off Parkdale from the shores of Lake Ontario. Then the release of mental patients from nearby hospitals out into the community in the 70s and 80s meant that the neighbourhood increasingly became a rundown and shabby if funky place where large old homes were rezoned and divided into rooming houses for the literally down and out. But Toronto has been voraciously consuming housing for a couple of decades now and it was inevitable that the money would flow west down Queen and King Streets, even if it was more a case of stop and start in the late 80s when the first gentrifications in Parkdale were attempted. But make no mistake. This is prime real estate and it will only get more expensive until, if and when, Toronto’s great housing bubble finally pops. Remember, people have been waiting for that for years now. So, think of Parkdale as akin to Toronto’s Queen Street West neighbourhood with its revitalized energy and overpriced condos moving towards Roncesvalles and High Park. It’s inevitable and it’s happening and if you would like to live close to downtown in what will soon be one of Toronto’s most prized neighbourhoods with restaurants, shops and one of Toronto’s largest park a few minutes away, maybe now’s the time to dive in and try to buy something in Parkdale. Or you could rent, seeing it has a higher percentage of rental units than most Toronto neighbourhoods. But rents too, as the protesters seem to be saying, are on the rise. If you can afford it, however, Parkdale is becoming the place to be. Like The Hydrostone in Halifax, Westmount was designed as a planned “garden” city back in 1912 by businessman Talmon H. Rieder, with the help of famed landscape architect Frederick Law Olmstead, who designed NYC’s Central Park and Montreal’s Mount Royal neighbourhood. World War I and the Great Depression made for a slow couple of decades, but by the 1950s and 60s, the empty lots on the tree-lined streets were being snapped up and houses added to the already impressive large homes that had been built. 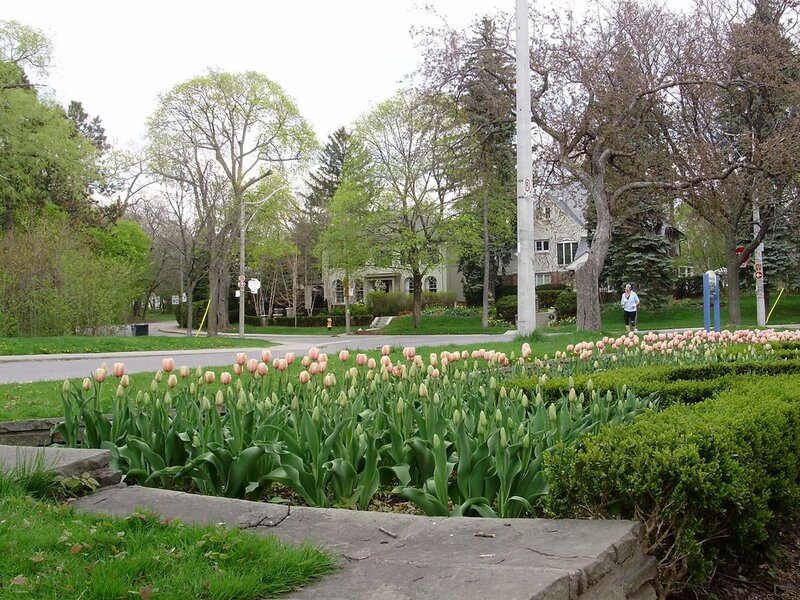 Located between Kitchener and Waterloo, and named after the Montreal’s Westmount, it still has a village like feel and is divided between Old Westmount with its elegant, larger homes, and the rest of the neighbourhood. It boasts excellent public schools and nearby Waterloo Park and Belmont Village. The city of Waterloo itself has been a tech hub for Canada for decades now, with the University of Waterloo with its coop program linking academia and industry and acting as a catalyst for companies like Blackberry, ATS Automation, and Open Text. As well, Waterloo has more traditional employers like Toyota, Manulife, and Sunlife. In other words, it’s the kind of city where well-educated people can find a great job and has a high proportion of immigrants living and working in the area. Named after Holy Rosary Roman Catholic Cathedral which was built on the area’s key artery, 13th street, it features older homes, lots of cute little shops and restaurants and not too many franchise stores. In other words, it’s slightly bohemian, a little ragged, but with elegant areas tucked away. And redevelopment has been boosting what was a declining neighbourhood in the 70s and 80s. For example, the former Sacred Heart Academy – a Catholic Girls School – has been redeveloped and is now an upscale townhouse development. The village is known for its bright murals that are scattered along 13th street and the Cathedral Village Arts Festival happens every May and hosts theatre, music, painting, and sculpture and apparently is a real attraction. House prices are reasonable, compared to cities like Calgary or Toronto, and Regina is the kind of place you’d want to raise a family in – as long as you can find a good job and as long as you don’t mind 30 below in winter. Yes, Calgary has all sorts of booming hip neighbourhoods like Inglewood, where cash-stuffed Albertans drop their dollars on whatever fancies their souls pine for. Like a vinyl record of the Clash – maybe London Calling. Or a great meal. Or something really expensive. But if you’re looking for green spaces and a small community where you can raise a family maybe you should consider Chinook Park in the South West quadrant of the city. Chinook is a word that people are still arguing over, and it has a number of meanings: a native people in the Pacific West region of North America; a language and culture belonging to the Chinook people; various aircraft and vessels mostly military; a warm wind that quickly raises the temperature in Southern Alberta by up to 10 degrees and melts a lot of the snow. Don’t worry, it soon gets cold again and the snow comes back. It’s Alberta after all. Chinook Park established in the late 50s, is a small community of less than 2,000 people but near to the Glenmore Reservoir with aquatic sports, hiking and biking trails and lots of green spaces for families with kids. The Community Centre next to Henry Wise Wood High School offers a range of activities from karate and yoga to soccer and tennis. It’s also next to the Glenmore Trail. No, that’s not a cowpath over the prairies; it’s a highway that gets you downtown in a hurry (especially once the construction project that will widen it to 6 lanes is done). There’s also the C train that’s part of Calgary’s LRT urban commuter system that gets you into Calgary without having to do the daily commuter drive. Chinook Park in other words, is the best of both worlds: a family-friendly community with a fairly easy commute to Calgary with its bustling jobs market, while at the same time, a suburb surrounded by greenery. And of course, the Rocky Mountains with Canada’s most spectacular national parks and world-class skiing are about an hour West. Any questions? This is Vancouver where money pouring in from wealthy Asian investors has created a speculative bubble that may never actually pop. Welcome to Canada’s own Hong Kong, or as locals say Hong-couver. Is this the future of real estate in a world where diminishing real estate opportunities in stable, prosperous countries like Canada are increasingly being exploited and prices boosted by all that cash pouring in? It’s great for developers and real estate agents, but tough for anyone who isn’t a wealthy investor, highly-paid professional, or a business owner. A study done by real estate consultants zoocasa shows an astonishing income gap between average salaries and the income necessary to take out a mortgage on a detached home in Metro Vancouver. The best you can hope for is a gap of over CAD$35,000 a year. That means that average working Canadians will always fall short of the cost of owning a home in Vancouver. The best you can do is try to buy a house or apartment in a distant suburb like Maple Ridge where average listed home prices are a mere $870,200 and the income gap is $35,600 a year. So, seeing it’s the least unaffordable option let’s see what Maple Ridge has to offer aside from homes that are only really expensive rather than outrageously overpriced. What started as a logging and farming town now houses a major film studio, Ridge Film Studios, in a recycled retail space downtown. Specialized agricultural production like berry crops, tree nurseries, or horse breeding farms are still part of the local economy. The West Coast Express Commuter rail station will get you onto the commuter train to downtown Vancouver, and the area has an arts centre and local museum with historical tours of Maple Ridge. It’s located next to the Fraser River and the Port Hammond neighbourhood is chock full of historical buildings which often serve as background sets for the various TV shows and films that are in production. Soccer to cycling, baseball to golf, and beautiful hiking trails. There are leisure activities for everyone. It’s South Western BC so nature is nearby and quite wonderful. If you think you’re the strong and rugged type, try the tricky mountain bike trails in Golden Ears Provincial Park where you can bend a wheel on your overpriced wheels and maybe dislocate an elbow, all in one beautiful BC autumn afternoon. And the Hemlock, Grouse, Seymour, and Cypress Ski Centres are about an hour away in winter. That’s BC of course, where the snow generally has the good sense to stay up in the mountains instead of in your driveway. The area has an excellent public school system and BC’s healthcare is rated the best in Canada. Immigrants are from a diverse group of countries and account for around 15% of Maple Ridge’s population. So, if you want to stay one step ahead of the yuan tsunami, maybe now’s the time to mortgage your life away on a home in Maple Ridge. This is the end, beautiful friend. Ok, tell your aging hippie neighbour who now has a house worth nearly 1 million dollars to turn down his darn Doors records. You’re at the end of the road, in beautiful, charming, and slightly-less-outrageously-expensive Oak Bay, a picturesque seaside village on Vancouver Island that’s also a neighbourhood of Victoria BC. And your neighbours are likely to be polite and discrete and nature loving. So, don’t worry about loud music, unless you’re the one who likes blasting out Bollywood soundtracks at midnight on Sunday, in which case you’ll either have an angry, aging hippie complaining to the police, or dancing in his backyard. This is the ideal family-friendly community. Ideal if you and your spouse each have investment portfolios worth a healthy 6 or 7 figures and great-paying jobs. But it is a kid-friendly place, the sort of community that has a pumpkin festival at the end of October, so you can stare at the Jack O’ Lanterns as you go shopping for over-priced knickknacks. There are yacht clubs, beaches, rugged shorelines, golf courses, and kayak outings. There’s one public elementary school and two private schools, if you can afford them. Downtown Victoria is about 10 to 15 minutes away, and the place is overflowing with parks, gardens and recreational centres. It’s a wonderful place for children and families who have the cash to live in Oak Bay, in other words. Think of it as your own private, upscale Beachcombers. What? You don’t know what The Beachcombers is? Time to brush up on your cultural history. (It was a sort-of-adventure/comedy series that took place along the BC coast north of Vancouver and ran from 1972 until 1990, becoming the 3rd longest running drama on CBC’s English-language broadcasts). On a foggy morning walking the shore you just might see Nick and Relic’s ghosts chasing each other over the waters in search of drifting logs. That’s reason enough to move to Oak Bay. Looking to immigrate to Canada? Whether you are looking for a good home purchase or an excelling school for your children, neighbourhoods in Canada offer some of the best quality of life in the world. First off, check out Osborne village, Winnipeg. Ranked the greatest neighbourhood in Canada, Osborne is sure to satisfy your needs. The friendly neighbours, high performing schools and security appeal immensely to those who live there.With $1 to $2M, you will get a spacious house for you and your family. Lawrence Park, Toronto boasts awesome houses on sale with among the lowest increases in prices in Toronto. The top schools in this neighbourhood provide your child with a learning experience like no other. The $2M per house is worth a thought for a good home. Kimberley junior public school offers prospective home owners a perfect platform for children growth. The proven excellence in academic and extra curriculum activities make it one of the best schools in Toronto. The less than $500k per house in the east end of the Danforth suits you and your family perfectly. Willowdale, Ontario, home to Claude Watson School for the arts, is sure to interest a prospective homeowner. The emphasis on the complete development of your child’s talents will get the best out of them. A modern spacious house here goes for about $500k. 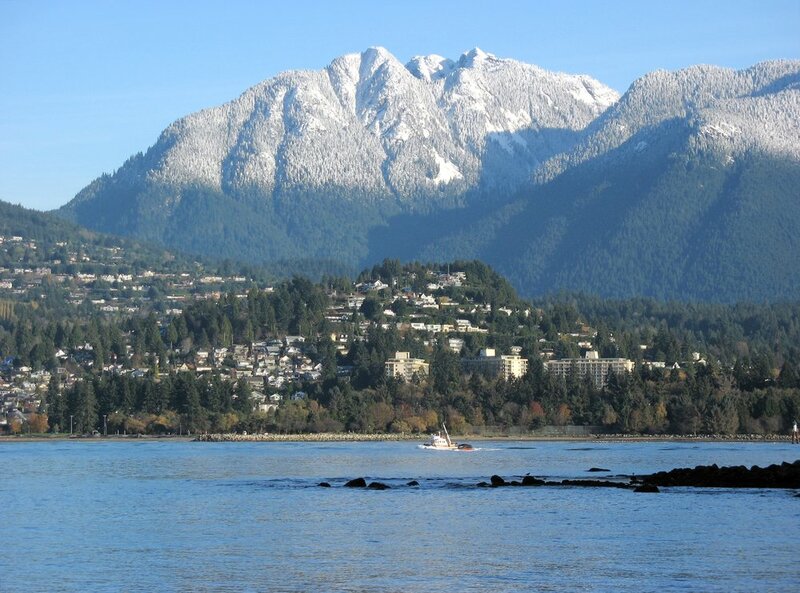 If you are looking to raise a family in a serene neighbourhood, then North Vancouver is your neighbourhood of choice. Though less glamorous than other neighbourhoods around it, the serenity and security here make it a great place to live. Do you love swimming and other water sports? How about easy access to a beach? 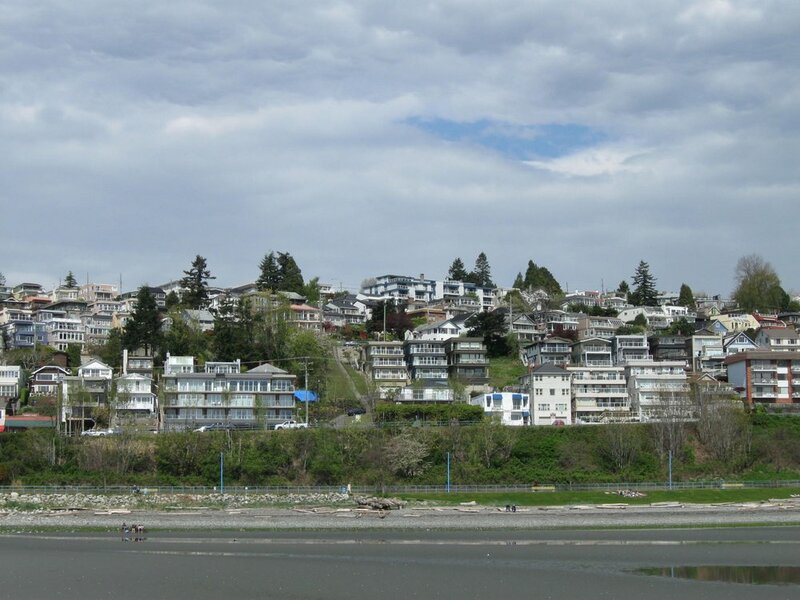 If yes, then, White Rock is your neighbourhood of choice. Good things are expensive to get but you are sure of a good deal here. Want a trendy, colourful neighbourhood? 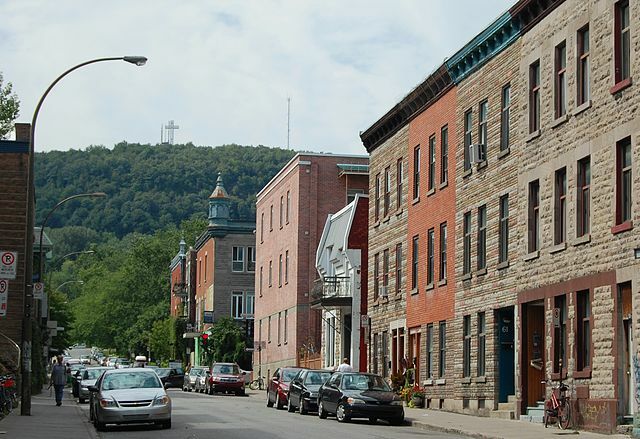 The Plateau Mont Royal neighbourhood in Montreal is sure to satisfy your imagination. The exquisite scenery and security makes it a 24 hour neighbourhood. The homes here however don’t come cheap! If you love art on display, Mile End, Montreal will interest you. Home to most film makers in Montreal, this neighbourhood doesn’t come cheap. With the best bakeries, filmmakers and Ubisoft studios in the city, this neighbourhood fulfils your dream. Surrey, British Columbia. If you love your Indian food made and served in the Indian way, this is the neighbourhood to move to. The houses here are affordable and the environment is family friendly. In addition, there is a variety of transport modes hence your movements will be easy. Westboro, Ottawa, home to sleek condo apartments, is popular for its affordability. Businesses here thrive due to the huge population. In addition, you can find many well maintained houses here to suit your taste. The neighbourhood boasts a local beach, a feature hard to find anywhere else! The neighbourhoods are many! The variety is evident! The choice is yours!